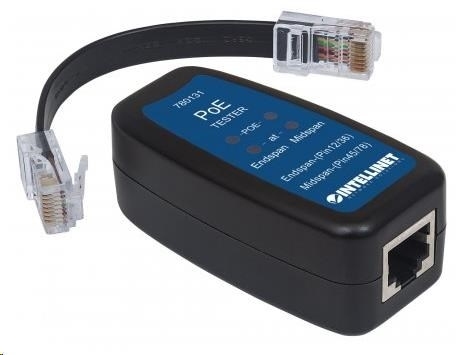 The Intellinet PoE+ Tester is a Power over Ethernet detector that confirms 802.3af and 802.3at connections. 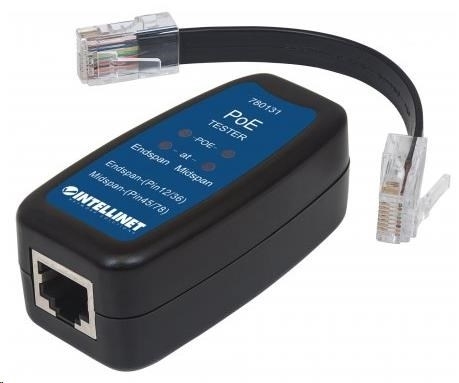 It also identifies the existence and type of Power Sourcing Equipment (either Endspan or Midspan). 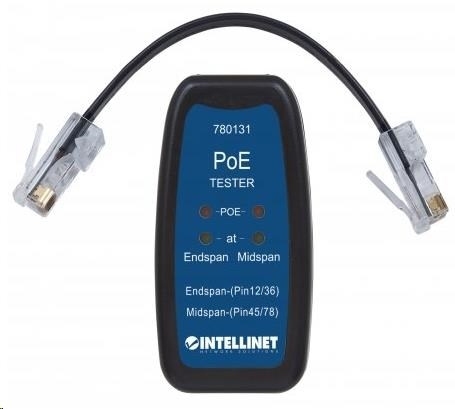 This tester is a simple plug-and-play tool that allows the installer to correctly identify PoE or PoE+ without the risk of damaging expensive equipment.